The European Commission launched a new platform to help consumers and traders solve online disputes over a purchase made online. The Online Dispute Resolution (ODR) platform offers a single point of entry that allows EU consumers and traders to settle their disputes for both domestic and cross-border online purchases. This is done by channeling the disputes to national Alternative Dispute Resolution (ADR) bodies that are connected to the platform and have been selected by the Member States according to quality criteria and notified to the Commission. The platform is multilingual. 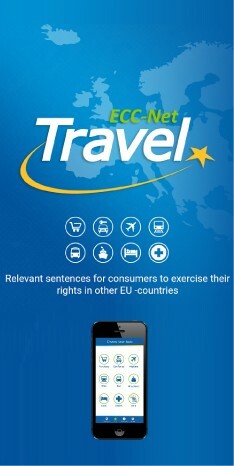 A translation service is available on the platform to assist disputes involving parties based in different European countries. Today, around 117 Alternative Dispute Resolution bodies from 17 Member States are connected to the Online Dispute Resolution platform. The Commission is working with the Member States to achieve a full coverage of all Member States and sectors as soon as possible. Alternative Dispute Resolution (ADR) offers a quick and inexpensive way to solve disputes. On average, it takes a maximum of 90 days for cases to be solved. The experience of European consumers who have used Alternative Dispute Resolution tends to be positive: 70% were satisfied by the way their complaint was handled through this procedure. This is an additional way for consumers to solve their disputes and will not replace the possibility of going to court, which is however usually more costly and takes longer (only 45% of consumers are satisfied by the way a court handled their complaint). The legal basis for the establishment of the Online Dispute Resolution platform is Regulation on consumer Online Dispute Resolution, which describes the main functions of the platform as well as the workflow for a dispute that is submitted through the platform. The Regulation builds upon Directive on consumer Alternative Dispute Resolution, which ensures that consumers have access to Alternative Dispute Resolution when resolving their contractual disputes with traders. Access to Alternative Dispute Resolution is ensured no matter what product or service they purchased, whether the product or service was purchased online or offline and whether the trader is established in the consumer’s Member State or in another Member State. Member States establish national lists of bodies offering Alternative Dispute Resolution procedures (ADR bodies). All Alternative Dispute Resolution bodies included in those lists comply with binding quality requirements set by the EU legislation.